THE stars were perfectly aligned on that fateful night Jack Durtnall and Emily Harvey met at the Bedroom Bar in Shoreditch - little did they know such a poignant jam would turn into something beyond any gift from the gods. Taking the alias of Little Shoes Big Voice, the duo quickly realised their potential sound was one not to be snuffed at. After making a few necessary adjustments, the band was born. As a multi-instrumentalist Durtnall has partnered a calming harmonium upon the most angelic vocality possessed by Harvey. Adding a raw R&B connotation, their music slows an aching heart - truly shaping emotion to delicately lay its burning desire upon a skeletal frame. Their latest offering, Heaven Ain't High coaxes the constellations to collide towards humanity. It's gracious beauty slips beneath each note, with an echo cooing at a warm silkiness, opening with an enchantment from Durtnall's sanctuary there is an almighty surge of perpetual turn-taking, tripping at the allure of Harvey's vaporous vocals. Harrowing guitars copulate with a rustic ringing - committing us outright to the injection of an enslaving beat numbing our senses to then collapse with exhaustion. Delicately dancing amongst the fallen deities, the track has the ability to float amongst listeners, broadly tapping into the mechanic shift of the tune to pull us in further within the odyssey which gingerly reveals itself to us. You both met at a gig in East London, what was going on musically before that moment? 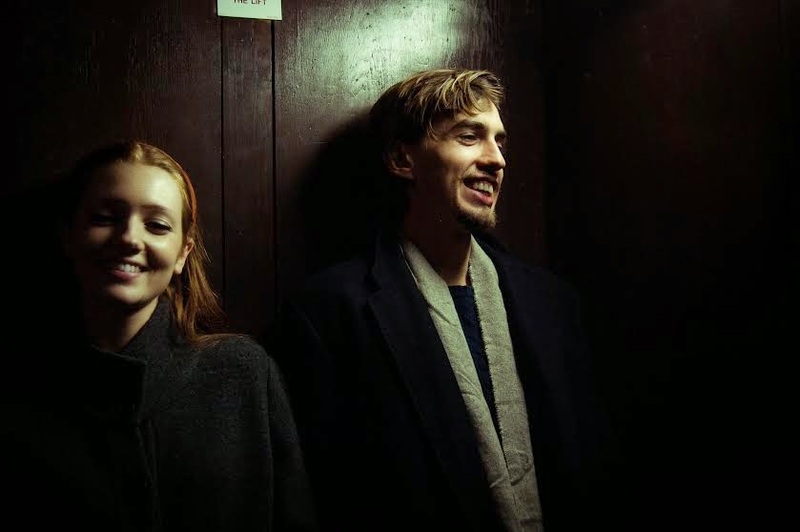 Well Emily had been playing with a band doing lots of interesting covers with her individual stamp on vocals and Jack came from a background playing saxophone, writing songs for his many projects and producing. Heaven Ain't High - is this an inclination to what a potential album will sound like? Where would you most like to take your sound to? We like dreamy, we like melodic, we like punchy dusty slinky beats when they kick in, we like getting a breadth of musical influences involved. It has to be sincere and it has to move people, in both a physical and emotional way. Is there a stigma with artists venturing away from their original sounding? Obviously people start to emotionally attach to what they feel is an artists 'sound' and so it can be difficult for an audience to move with an artist if they're making some bold sonic leaps. But if the material is strong and honest enough the truth of the music should shine through even if it's encased in something a bit different, new or challenging. Someone like David Bowie is a really good example of someone who's mastered the art of leading people with him through his various musical reincarnations. Where did the artwork for your material come from? For Blue Veins and Heaven Ain't High the artwork was done by the fantastic duo Oaklights, who also made our amazing video for Nightfall (they're geniuses). For those Jack took some photos of blue ink in a bath on his old Olympus OM10 and sent it to the Oaklights guys to see what they thought of potentially using it as an image. The next thing we know they've sent back the amazingly atmospheric artwork for Blue Veins with the colours eerily inverted, looking like haunting, golden smoke. We loved it so much we played with the same technique for Heaven Ain't High. You've had an amazing summer, even playing Radio 1 Big Weekend, did you ever think this something you'd be able to do? To be honest, before we got the email from BBC intro earlier in the year we kind of saw it as 'something that other people get' but which would probably never cross our path. So you can imagine how amazing it was to get that first email from them saying they wanted to play our song Nightfall on Radio 1 and then doubly amazing when they asked us back to play at the Big Weekend in the summer. We're really grateful to them. So yes it was totally unexpected and such a great opportunity. Where did the name Little Shoes Big Voice come from? We were bouncing ideas around for a name and Jack suggested this one from nowhere and it kind of just stuck. We like it because it's interesting but it doesn't take itself too seriously as a name either. On a slightly deeper level we like the idea that we can be standing here, occupying this relatively tiny physical space that we each do, but if you use the amazing faculty of the human voice with language and song and say the right things in the right way through music with sincerity and attempt to connect with people about things you feel - your voice can be absolutely huge and reach so many people. We like that idea. Do you feel being a duo allows you to be closer within music? I guess making music in any size group really brings people together. But yes when you're a duo there's a great sensation of nurturing something that's personal to both of you but shared at the same time. It's also great to be inspired with someone else's musical influences and find out more about the music that really switches them on and that they connect with. This time next year, what will you be doing? Wow, good question - who can say! Definitely making music one way or the other.